[prMac.com] Toronto (ON), Canada - Zevrix Solutions announces that LinkOptimizer for Adobe InDesign is available at 50% off until November 18 only. Awarded 4 out of 5 starts by Computer Arts magazine, LinkOptimizer automates complex image manipulation tasks allowing users to reduce the size of InDesign links, save processing time, and reduce production costs. The discount lets users save $130 on each new license of LinkOptimizer and is also applied to upgrade prices from earlier versions. 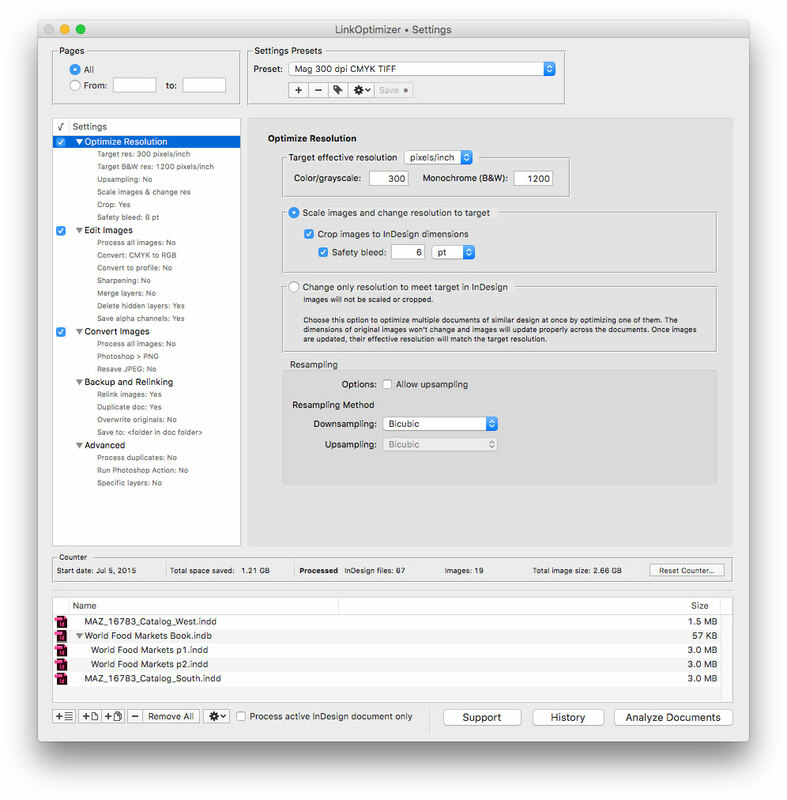 At the end of processing, LinkOptimizer reimports images to InDesign at 100% in their precise position. In addition, the software can merge and delete hidden layers, apply ICC color profiles, and process document copies instead of original files. As a result users can save gigabytes of disk space and countless hours of optimizing images manually, accelerate document output, reduce job turnaround and cut costs through faster processing. LinkOptimizer can be purchased form Zevrix.com at 50% off for $130 USD (LinkOptimizer Lite - $90) until November 18 only. the discount also applies to the upgrade prices to LinkOptimizer 5 from earlier versions. Trial is also available for download. LinkOptimizer requires macOS 10.7-10.14 and InDesign/Photoshop CS3-CC 2019.